Apple is expected to reveal a new MacBook Pro this week, but we already got a first look. Apple issued an update to macOS Sierra this week, and along with it came a few unexpected surprises. The macOS Sierra 10.12.1 update includes a hidden image depicting a brand-new MacBook Pro with an OLED touch bar at the top, allegedly dubbed a Magic Toolbar. 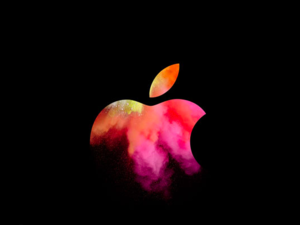 Apple is officially expected to announce this new MacBook Pro on Thursday at 10 a.m. Pacific during its second fall event. 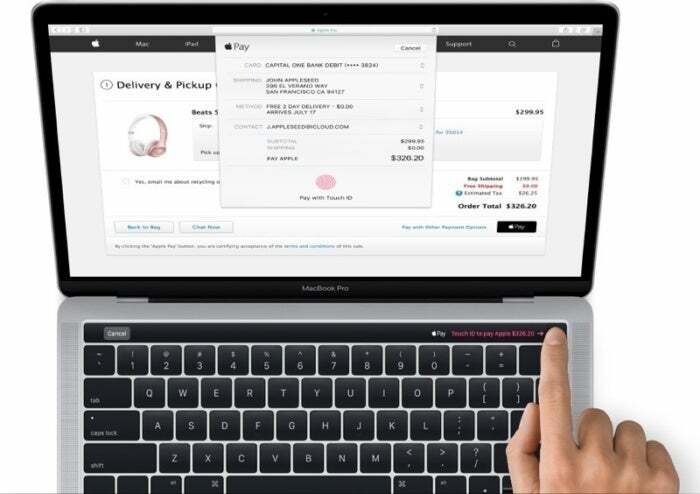 The leaked images, first unveiled by MacRumors, show how the new MacBook Pro integrates Touch ID on the Magic Toolbar to be able to verify online payments via Apple Pay. According to earlier rumors, the Magic Toolbar replaces the top function keys and it will be adaptive, or able to change depending on what’s on the screen. The leaked images only depict how the Magic Toolbar supports Apple Pay functionality, by asking for verification of the payment with Touch ID by placing the fingerprint on the OLED panel. Besides the new Magic Toolbar, the MacBook Pro seems to follow similar design cues of the current generations. If the machine depicted is the 13-inch model, then another notable addition is a row of speakers to each side of the keyboard. The images do not show the sides of the MacBook Pro, so it’s unclear which ports this new model will support. Rumor has it that it will only come with four USB-C ports and maybe a headphone jack. The new MacBook Pro is also expected to be lighter and thinner, but the leaked images do not confirm this, either. At the event, Apple might also announce more refreshed Mac updates. Apple is reportedly working on a new MacBook Air with a USB-C port, an iMac with AMD chip, and a 5K display in partnership with LG.